Forages & Grains - Warm Season Forage & Grain - Grain Sorghum - Sharp Bros. Seed Co.
Sharp Bros. 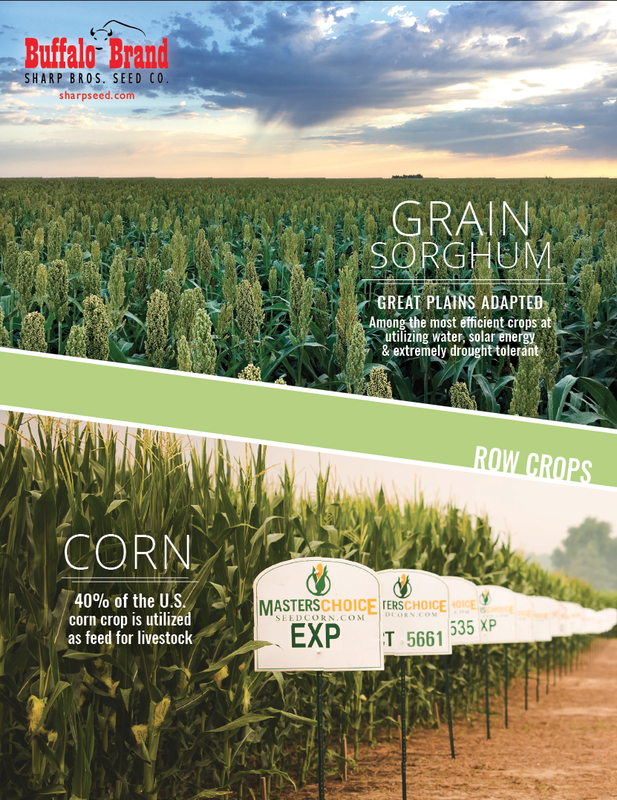 Seed Co. is proud to provide this lineup of grain sorghum varieties, thoughtfully selected to meet the demands on your farms. Drought resistance, standability, sugarcane aphid tolerance, and yield consistency are just a few of the traits that our new varieties can deliver to your bottom-line. For more info. see your local Sharp Bros. Seed Co. dealer.